Upon wearing a kimono, there is a turn of phrase “emon o nuku” (pull down the back portion of collar), and the “emon” in this phrase is mean to say the collar, particularly, it is meant to say the back portion of collar. There is also a turn of phrase “emon o awaseru”, and the “emon” in this phrase is meant to say the front portion of collar. 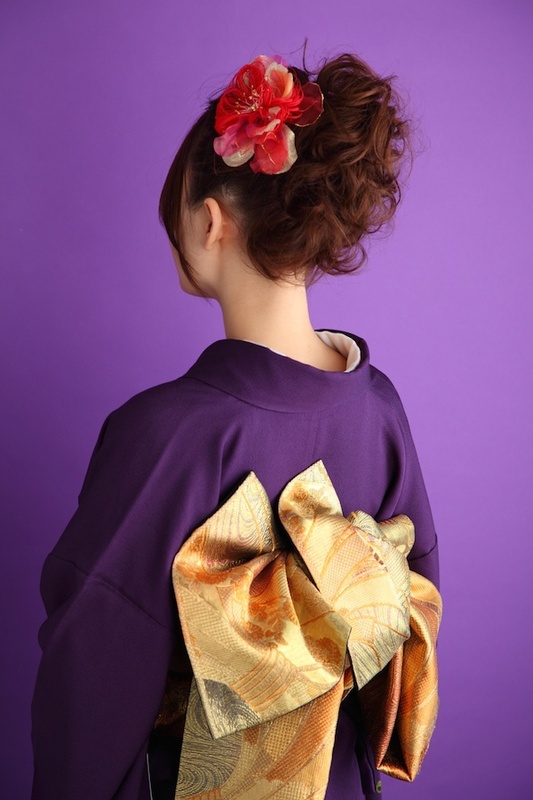 It is unknown what the turn of phrase “emon o nuku” meant to say is, but there is an opinion that it has begun to use the phrase out of practice to pull down the back portion of collar of a kimono until a position for not the hair being touched during the time when the voluminous back hair was popular when setting the hair. Now, it is used as one of techniques to show beautiful appearance in wearing a kimono. How large portion shall be pulled down is different depending on a kimono, and the basically, the more refined kimono needs the more large back portion of collar to be pulled down; therefore, the back portion of collar in wearing a bridal kimono is pulled down until a position on which the back of bride could be almost seen. For a daily worn kimono, it is said to be better to pull down until a position where the fist is about to fit between the neck and collar. For the most casual kimono, yukata, it is said to be approximately at a position for two fingers. In addition, it is said to be better for elderly women to pull down lower than younger women. However, there is a fashionable trend of how lower to pull down, and it is preference of a person to wear kimono at all.It tends to pull down smaller for those who are not got used to wear kimono, so it might be just good if pull it down to feel rather lower.